SpeechTechie- Technology, Apps and Lessons for SLPs and Teachers who like Words: What can we do over the summer? As the school year winds down, activities for carryover and maintenance are a frequent request of parents to their child's SLPs and special educators. 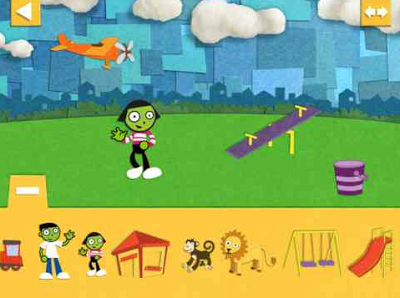 For parents of younger ones, PBS has provided a great answer with their free app, PBS Parents Play & Learn HD (also for Android, especially nice since not all families have iOS devices, and bilingual in English/Spanish, as not all families speak English!). This app is part interactive resource, part guide to increasing linguistic interactions between parent and child in natural contexts. This app provides a wide variety of contexts (the park, in the car, bathtime, kitchen, supermarket, etc) that kids experience with their parents each day, along with a minigame and verbal activities for each place. Minigames are interactives played on screen targeting skills like counting, association and categorization in engaging ways. 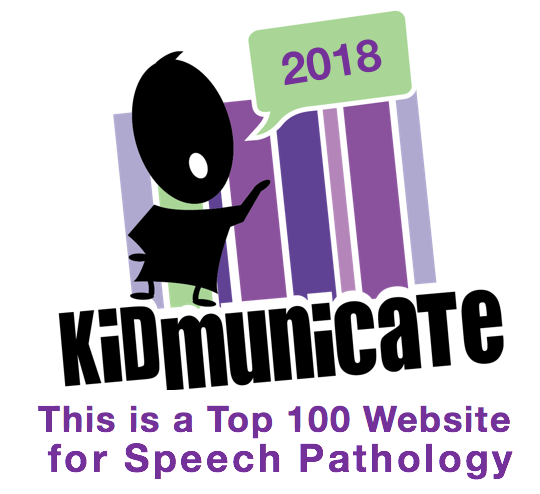 The activities, scaled from baby to toddler and preschooler, but likely appropriate for primary students with language difficulty as well, are suggested verbal interactions that parents can use in context of these locations. For example, the app suggests that at the supermarket, parents have children name all the items as they go on the conveyer belt as parents model/discuss/elicit how they will be used. This is a simple idea that parents perhaps might not recognize as a "teachable moment." Thank you, PBS, for offering this unique and free resource.